Of course, motorists are expected to obey all applicable laws anytime they are operating on public streets. But Florida legislators have created tighter restrictions in areas where children are making their way to and from school. School zone violations in Florida can be met with heavy penalties. You can expect higher fines than for the average speeding ticket and generally, the state will assess more points on your license. Defending these cases vigorously is especially important if you are already teetering on the edge of losing your license due to prior offenses. Plus, these records are public and school zone violations – even those that don’t result in injury - don’t look good to prospective employers. 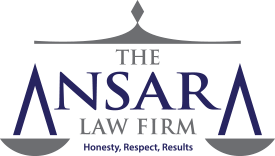 At The Ansara Law Firm, our Fort Lauderdale school zone violations attorneys recognize that there may be a number of viable defenses for those who are ticketed on these offenses. Our approach could examine the possibility of improper signage or malfunctioning signage. We might question the exact time of the ticket and whether it was in fact issued during the proper hours. Our attorneys will also look for proof our client was in fact actually in the school zone at the time of the alleged violation. We might simply challenge the citation for lack of evidence. If you have been cited for a school zone violation, our legal team has the experience to defend your driving record. We represent clients in Broward, Palm Beach and Miami-Dade Counties. What Are School Zone Violations? These offenses, when they occur in a school zone, may be met with enhanced penalties, ranging from fines to points on one’s license. In some cases, where the offense accompanies some other criminal offense (i.e., DUI, vehicular manslaughter, etc. ), the driver may also be arrested. F.S. 316.1895(6) allows the school to erect permanent signs that can be used for designating where the school zone is. The law stipulates these signs, where they indicate the school zone speed limit, need to be all the same size and color so they are easily recognizable to drivers. They also need to clearly and legibly post the times during which the restrictive speed is enforced. If the sign doesn’t post the times during which the lower speed limit is enforced, the statute allows the school to instead use a flashing beacon – or some other automatic device or one that can be activated manually – that is active during school zone hours. Flashing beacon standards are set by the Florida Department of Transportation. If there is any indication that the sign wasn’t properly displayed, that is grounds to fight your ticket. F.S. 316.1895 designates that most of the time, the speed in a school zone is going to be 20 miles-per-hour. In addition, speeding in a school zone in Florida will result in 3 points automatically on your license. It could be 4 points if you’re traveling 16 mph or more over the posted speed limit and 6 points if unlawful speed causes a crash in a school zone. You may also be subject to license suspension and a mandatory court appearance. If you’re caught texting and driving in a school zone, be forewarned that while this offense doesn’t normally result in points assessed to your license, you could receive 2 points on your license for a first-time texting-while-driving in a school zone offense and 5 points on your license for a second offense. It’s important to point out, however, that the school zone is only defined during certain hours of the morning or afternoon. It can’t be considered a school zone on weekends, school holidays, after school hours – or even during lunch time, when the children are supposed to be in class. If the citation was issued outside those very specific designated times, that citation can’t be upheld. Secondly, the law is very clear about the rules for the content, visibility and placement of those school zone signs. If there is even one element that is off, there’s a good chance we can help you get that ticket dismissed. We will look too to see whether the officer actually clocked your speed – or noted your violation – within the boundaries of that school zone. Finally, we’ll look at whether there are problems with the speed measurement devices, errors in interpretation of the statute or any other problems that may indicate your ticket was issued erroneously.